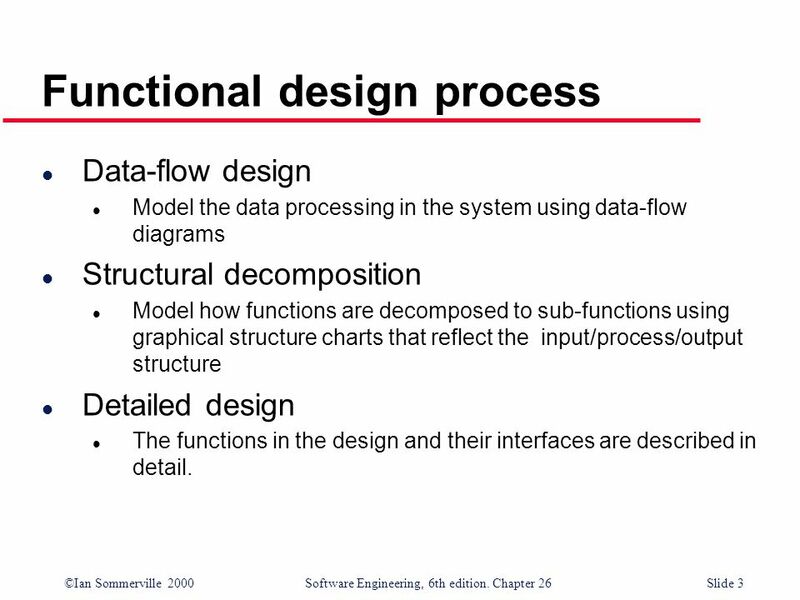 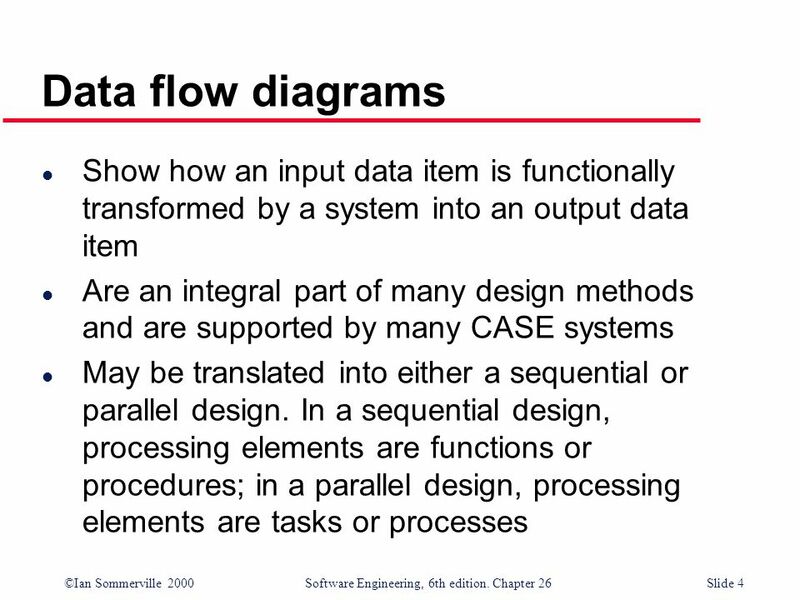 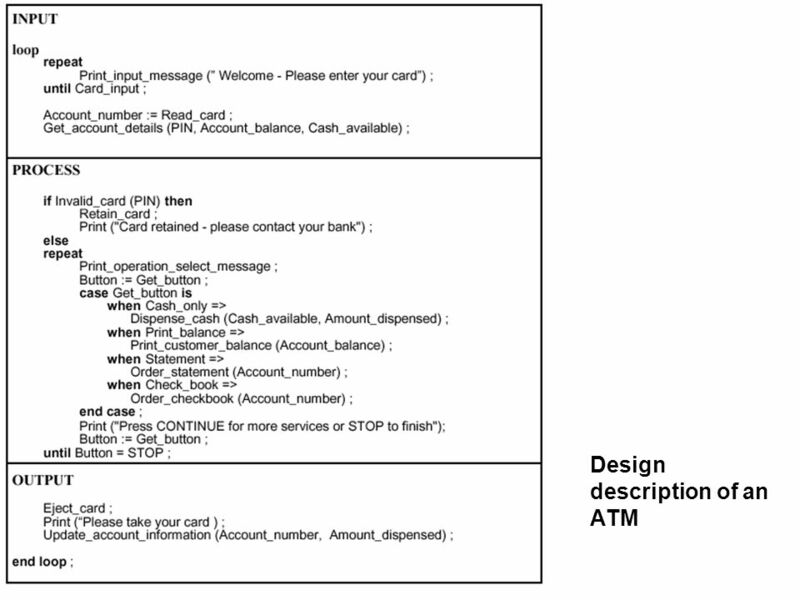 Data-flow design Model the data processing in the system using data-flow diagrams Structural decomposition Model how functions are decomposed to sub-functions using graphical structure charts that reflect the input/process/output structure Detailed design The functions in the design and their interfaces are described in detail. 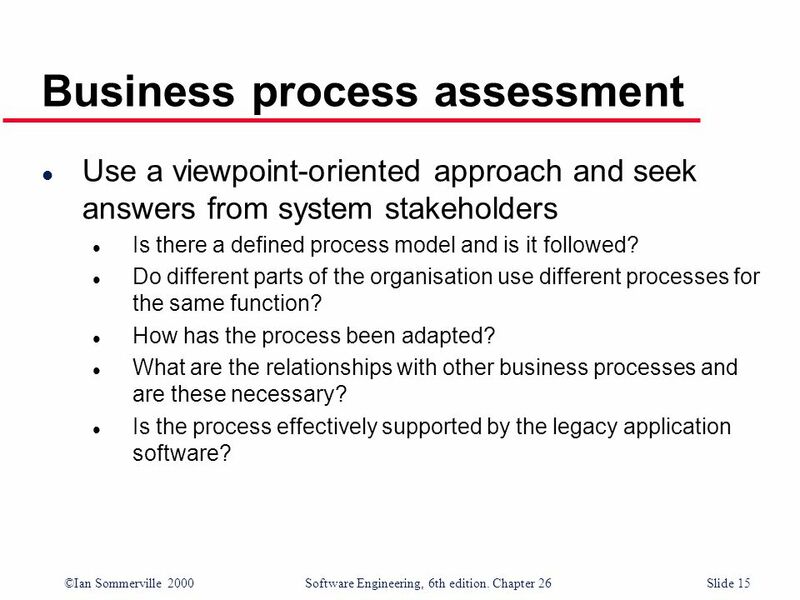 Use a viewpoint-oriented approach and seek answers from system stakeholders Is there a defined process model and is it followed? 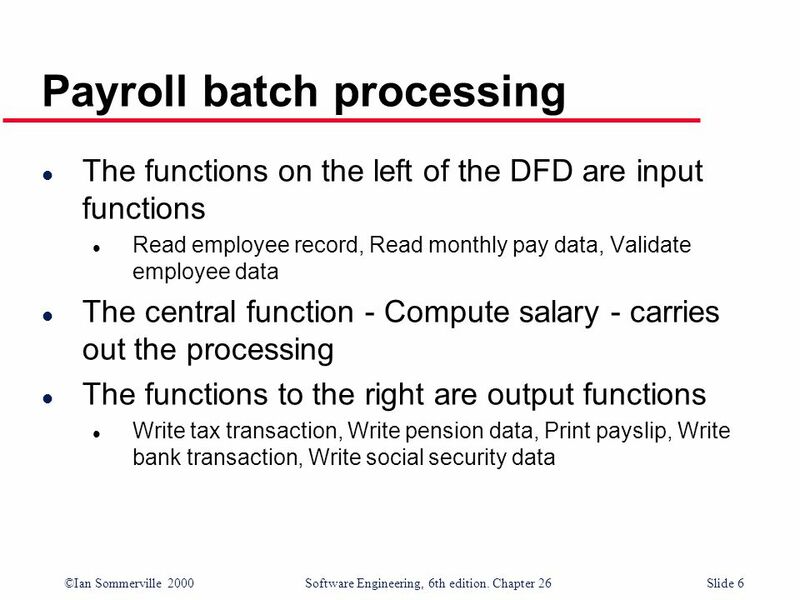 Do different parts of the organisation use different processes for the same function? 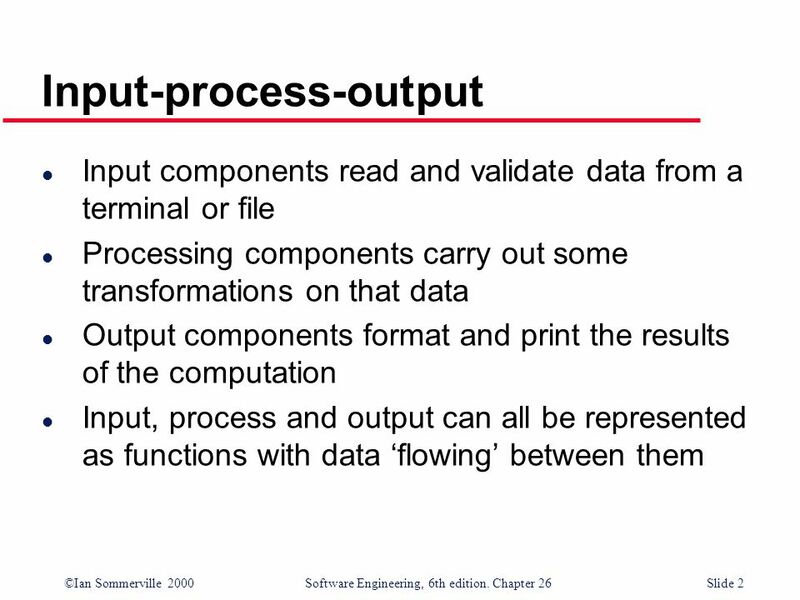 How has the process been adapted? 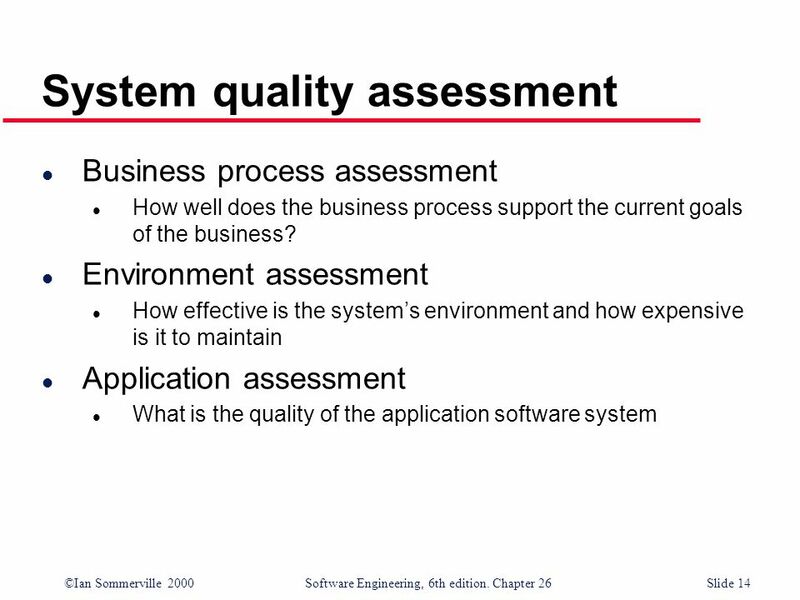 What are the relationships with other business processes and are these necessary? 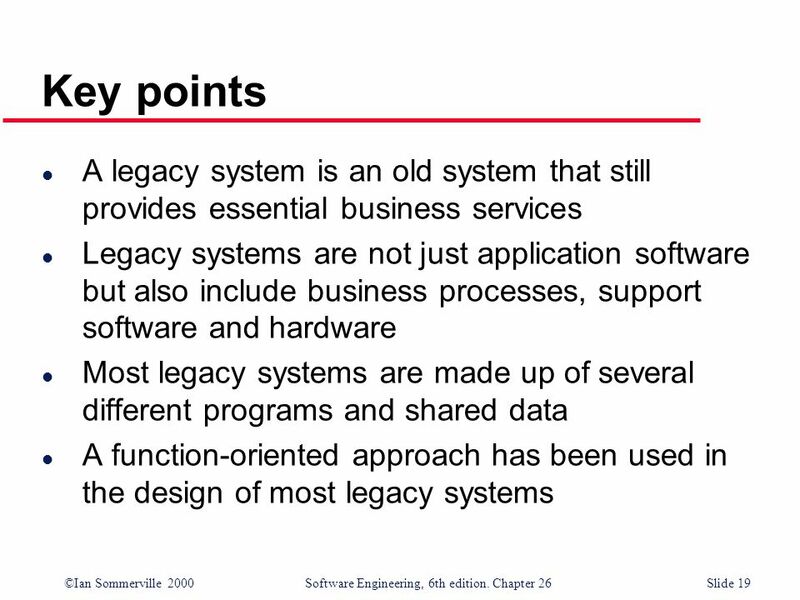 Is the process effectively supported by the legacy application software? 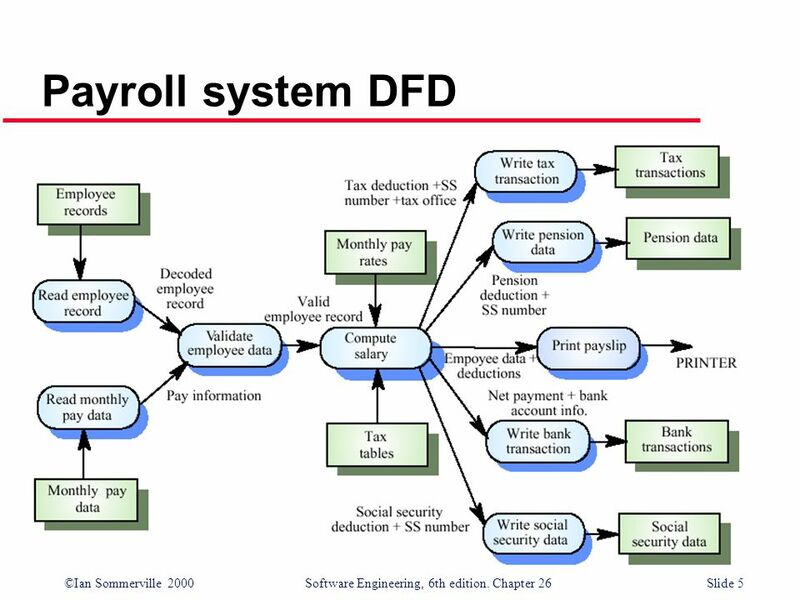 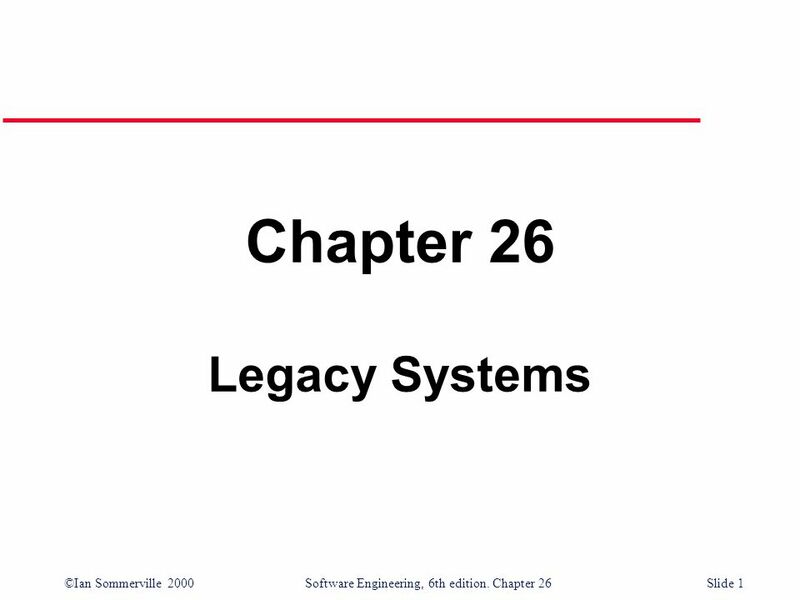 Download ppt "Chapter 26 Legacy Systems." 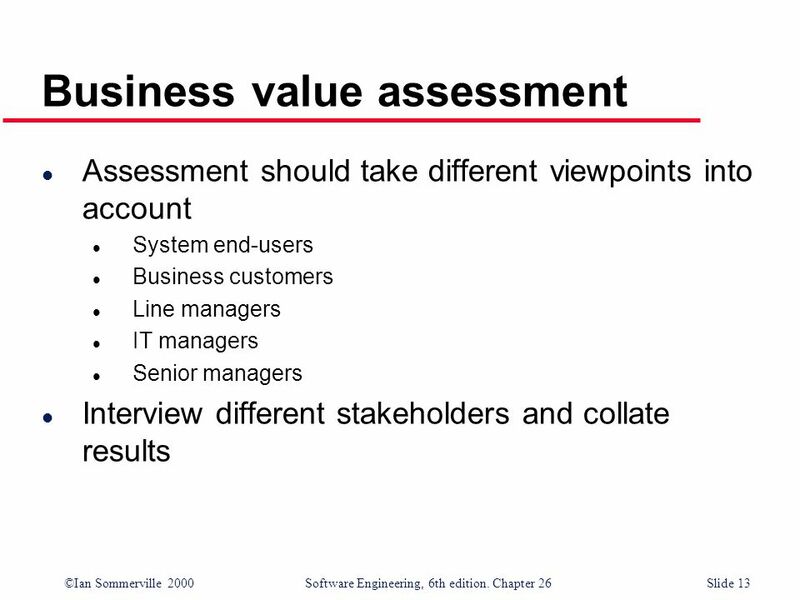 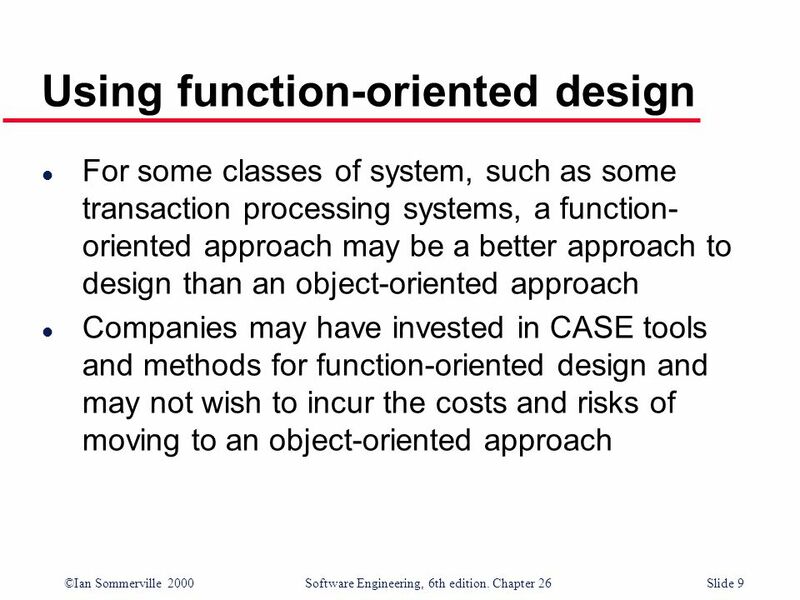 ©Ian Sommerville 2000Software Engineering, 6th edition. 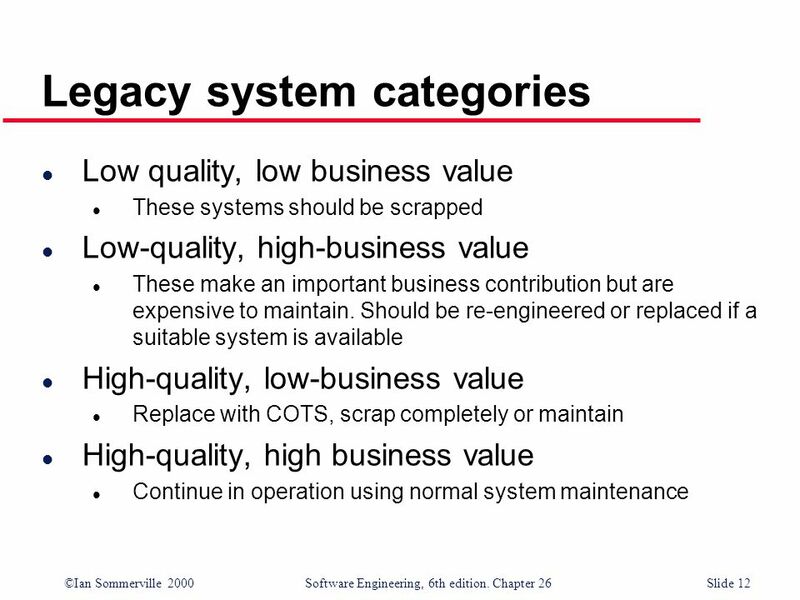 Chapter 25 Slide 1 Chapter 25 Process Improvement. 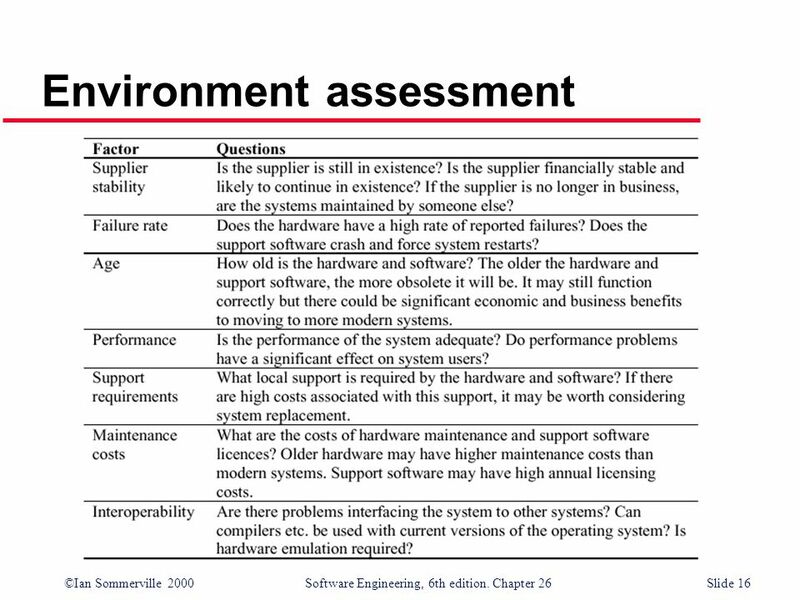 ©Ian Sommerville 2000 Software Engineering, 6th edition. 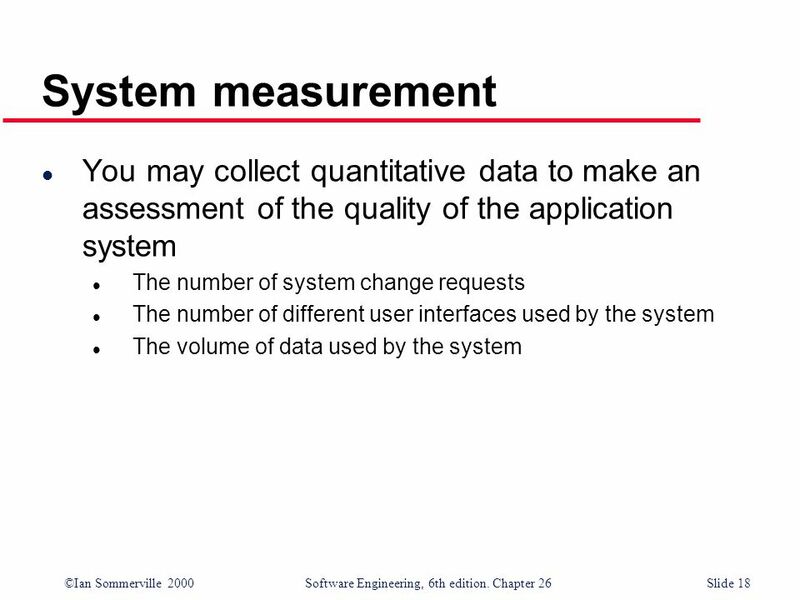 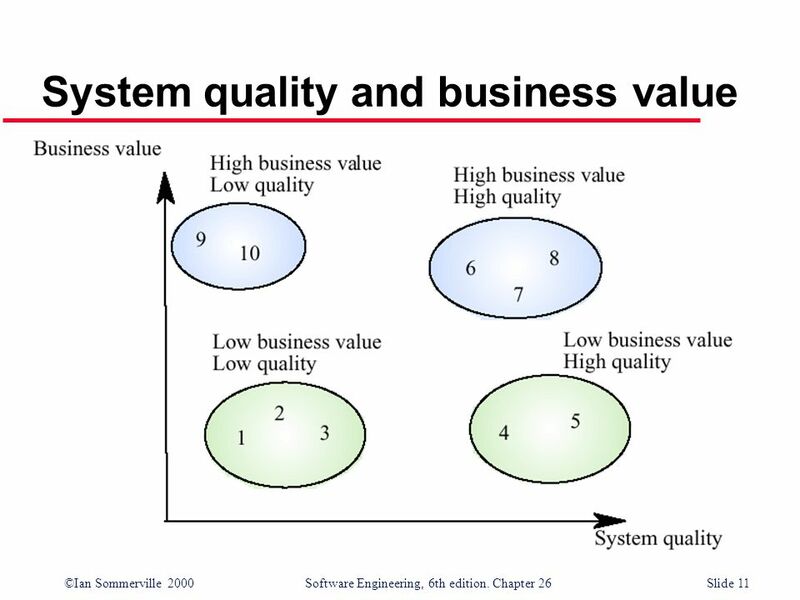 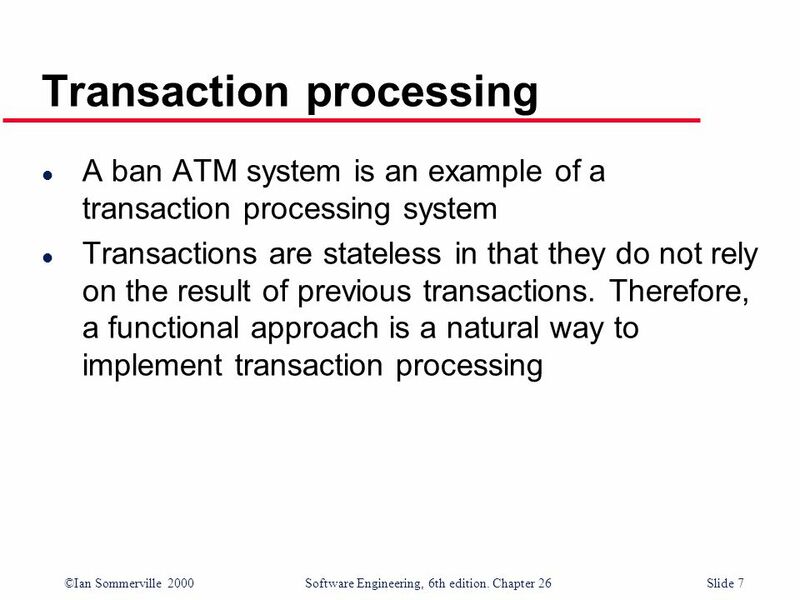 Chapter 20 Slide 1 Chapter 20 Software Testing. 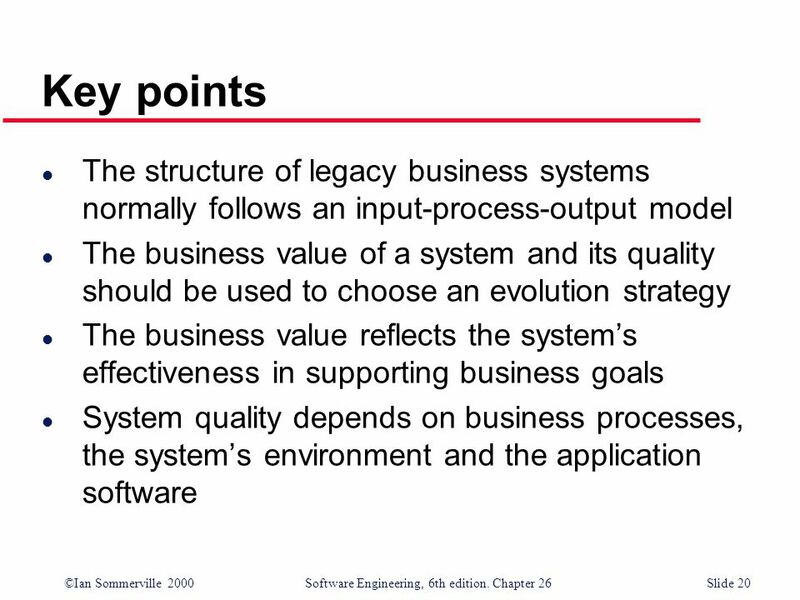 Software evolution. 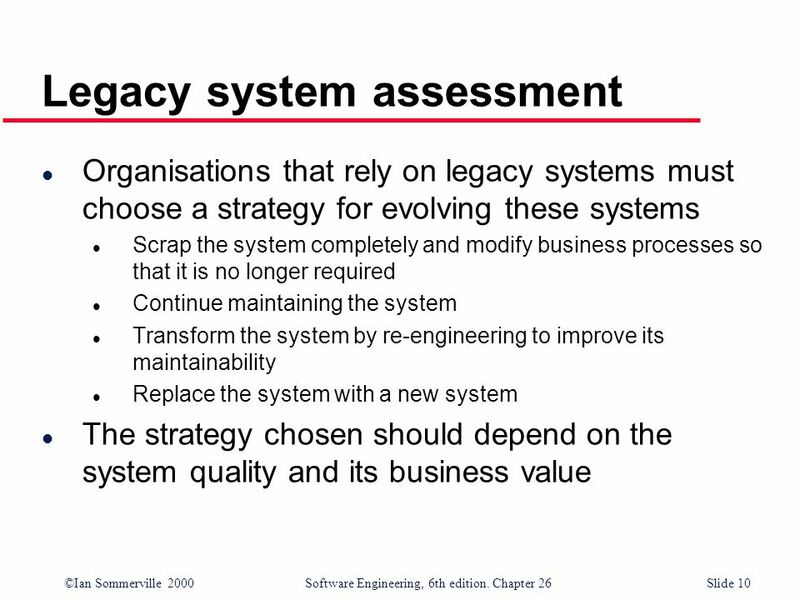 Objectives l To explain why change is inevitable if software systems are to remain useful l To discuss software maintenance and maintenance.